It’s never too soon to start thinking about back to school shopping. In fact, you can often save by shopping completely out of season. Oftentimes, shopping doesn’t even involve leaving your home, as online discounts are plentiful and recycling what you already have is an option, too. If you do plan to hit brick and mortar stores, there are coupons, sales and thrift stores to consider when making your back to school purchases. To help you get a head-start, here are 25 blogs for the frugal back to school shopper. Before you spend a dime, you need to know what you can afford to spend while remaining comfortably within your budget. Creating a back to school shopping budget is a great way to ensure you make the right purchases. Remember, too, that each child’s needs are different, depending on what stage of school they’ve reached. Start off by reading these five blogs, so that you don’t waste money on a spending frenzy. It goes without saying that your child will need a whole new wardrobe for the coming school year – or so they would have you believe. However, new doesn’t always mean off the rack, sometimes new means never before worn. Then there’s the problem of wear and tear. School age children, as is their nature, go through clothes like they’re going out of fashion. To make sure you get the best savings on back to school clothes, check out these five blogs. School’s Out – and the Deals are ON! When it comes to saving on back to school clothes, supplies and books, recycling items and shopping at thrift stores offer excellent money saving options. For families who like to stay eco-friendly in everything that they do, there are plenty of back to school shopping options, too. There are treasure troves full of back to school bargains out there – you just need to take the time and effort to find them. In these five blogs you will find ideas for frugal shopping, as well as eco-friendly back to school products that won’t cost you a fortune. What do you do to cut back on school supplies costs? While most schools will supply all the books that your child needs, there are some text books that support learning that you will have to buy yourself. However, when it comes to college age children who have to purchase all their own books, it’s time to really start hunting for those savings. The good news is, wherever there is a platform for students to sell their own text books, there’s a buyer’s market, too. Other alternatives include book-swaps, free online texts, yard sales and fairs. For both school age children and college students, there are some great resources for books available in these five blogs. Considering Going Back to School? As your child gets older, each year they will need more and more school equipment and supplies. Unfortunately, the cost of those supplies also greatly increases as each year passes. If you have more than one child, each with their own extra-curricular interests, you could end up out of pocket very quickly. You will find that plenty of the major outlets stock everything you need for your child going back to school, however, you probably won’t find the bargains you are hoping for. This is, perhaps, the area of back to school shopping where it is most important to make frugal purchases, so tread carefully. The advice in these five blogs will help you decide what your child needs and where to get supplies at the lowest prices. Teens are mysterious creatures. They seem to move from child to young adult almost overnight. Parents of teens frequently find themselves irritated by the things they say and the way they act. You may be trying to make sense of the chaos of adolescence, but it can be a mistake to judge them too quickly. Here are a few myths about teenagers and how to be sure you dispel them. My teen doesn’t care about my feelings. The words your teen uses might lead you to feel unloved by him, however, the truth is that he does care about you a great deal. Children from around age 11 and up are going through many changes. Some are physical in nature, but there are also many emotional shifts. Your child is growing up, learning a lot and realizing that at some point he is going to have to live a life apart from you. He is attempting to assert his independence from you and is at times unsure of how to do this appropriately. He will attempt many things, including talking back and disregarding your feelings. Your teen actually cares a great deal about your feelings and is looking for reassurance that it is ok for him to separate from you in some ways. While it may not be acceptable for him to talk to you in a disrespectful way, it’s important to talk to and treat your teen like an adult as much as you can. How do you respond to other adults when they say hurtful things to you? My teenager is lazy. While some teens have better work ethic than others, the adjective “lazy” is not an accurate description of most teens. When motivated, a teen can do amazing things; even a teen who plays video games for too many hours a day can be inspired to do amazing things. The key term here is motivation. Finding what motivates your teen is important, and may be the only way to get him to get off the couch and help around the house. The best way to motivate a teen is to give him ownership of the project. If you expect him to help keep the house clean, then he needs to feel that he has a vested interest in the home. Letting him have input on where furniture goes, what carpet is picked out or what color the walls are can go further in investing your child in the home than you think. There is nothing wrong with offering incentives for your child to complete tasks, whether monetary or relationship based. However, nagging and hounding your teen will NOT create motivation. My teen never listens to my advice. Teenagers are going though many changes and are trying to find their identity outside of their parents view. Your teen is most likely listening to you, but greatly wants to gain an independent life. 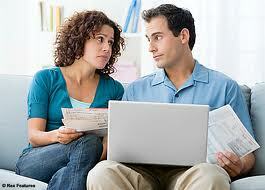 He is afraid that following your advice will lead him to being dependent on you for a long time. Parents of teens have to walk a very thin line between giving advice and telling the child what to do. If your teen is still coming to you for advice, count yourself lucky, because that often stops at some point in the adolescent years too. When your child tells you a story or shares an issue he is facing, do not jump in and tell him how to fix the problem. Step back and just listen, ask questions to clarify and then validate the feelings he might be having about the situation. Once he has finished the story, you can ask him if he wants your advice. He may say no, in which case you thank him for telling you and let him know you are there if he wants to talk about it further. If he says he wants your advice, give it with caution, understanding the best way for him to learn is if he helps to come up with the solution. Because of this, aiding your child through questions can be the most helpful. Once the advice is given, it is his hands. He needs to be given the freedom to choose what he will do with your suggestions. My teen does not want to spend time with me anymore. While it is very true that as your child gets older he will spend less and less time with you, it is far from the truth that your teen does not want to spend time with you. Most teens have more activities outside of the home as they get older and their interests change drastically, sometimes from one day to the next. The way they talk might even change. All these adjustments mean that you will understand him less and less each day. It is not that he wants to spend less time with you; it is that he perceives there are fewer things he has in common with you. Making an effort to understand the culture and how it changes from day to day can greatly improve the time you spend together because you will have more in common with him. The truth is that he still craves the time he gets to spend with his mom or dad, but realizes often unconsciously that he needs to pull away from you too. It is too late to build good communication habits in my teen. It is never too late to teach and model healthy communication habits. You may feel that the habits both you and your child have are already ingrained in your mind and will never change, but that simply is not true. It takes small but measurable changes in your behavior to effectively help your teen communicate better. Your teen is likely looking for someone to work to understand him, even if that person never fully can. Raising a teenager can be a maddening adventure, but it can also be touching. To see the child that was once so little and helpless becoming an adult can be overwhelming. Sometimes parents want to hold onto the little child they once knew. Unfortunately, attempting to hold on by treating the young adult like you did when he was little can cause a great deal of friction between you both. It is a difficult process to communicate with a teenager, but when done with respect and understanding it can be a less frustrating phase. Defiant Teens – Disrespectful Teens: What is Going On? What happened to today’s society of kids? When we grew up and our parents told us to be home by 10pm we never questioned them, we were home by 10:00, if not 10 minutes earlier. We never dared back talked (well, if we did, we learned real fast it was usually the last time we did it). It seems teenagers today have a sense of entitlement issue. They have no sense of respect for their parents. Sometimes we can be fortunate that they do respect their teachers and our neighbors. However when they come home, they can become a person we don’t recognize. Is it today’s society? It is peer pressure? It is the desire to give our kids more than we had? Is it technology? Honestly, it is a million dollar question that really doesn’t matter, because at the end of the day, some are struggling with a teen that is going down a negative path. We have once good teens making some very bad choices. If it escalates to a point that you are actually reading my Blogs – and now seeking outside help – it usually means you have reached your wits end. Believe it or not, now is the time not to make rash decisions. Once you have exhausted all you local resources, such as local therapy, your relatives and other programs in your area, you may be ready for residential therapy. However this is where it gets tricky. You get online and you type in all sorts of buzz words you before you know it – you are bombarded with all sorts of toll free numbers with promises of help and understanding…. really? Back up… Realize that the teen help industry is a big business – yes, you may need help, and you may need a school or program, but your teen is not for sale – and you are not going to be scammed. How do I know this? I was scammed over a decade ago – I learned the hard way. I had that teen that was a good teen, before she started making those bad decisions – and then I made a rash decision. Learn from my mistakes – gain from my knowledge…. 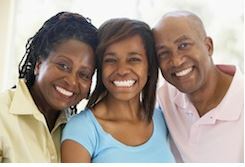 Visit – www.helpyourteens.com – and read our story at www.aparentstruestory.com.